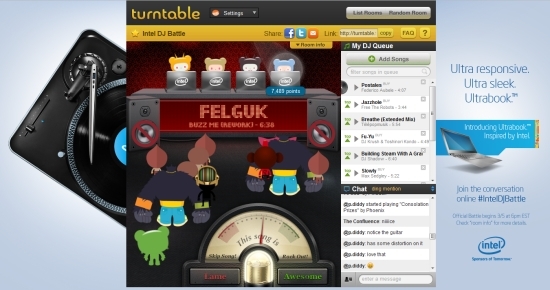 YOU can listen, vote, and help decide – online at the Intel DJ Battle on Turntable.fm. We’re sponsoring a 3 day battle with TT.fm’s best DJ’s. We have a featured room for the event – the winner will DJ LIVE @ SXSW and win an Asus Zenbook UX31 Ultrabook, Inspired by Intel. 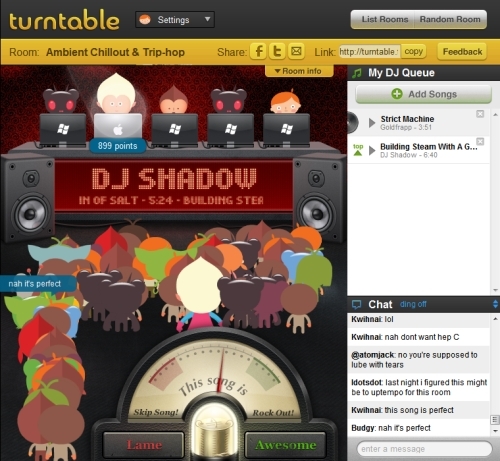 Also – join us for 2 days at SXSW for live TT.fm spinning in the ATX. Mark your calendars – March 10th and March 15th.